- Immediate out of tolerance indication. Today, businesses require their critical business systems to be continuiously available , 24 hours per day, 7 days per week. To ensure that continuous availability is maintained requires an uninterruptible power supply (UPS) with a reliable battery array. Explorer Technology Group Inc. (ETG) has solutions to automate the collection and analysis of the specific gravity, temperature and voltages for industrial batteries. Analysis of these readings is vital to ensure that potentially degraded batteries are identified and serviced, ensuring that they can be relied upon when they are required to support critical business systems. Explorer Technology Group Inc. (ETG) has been supplying battery test automation solutions to customers for over 20 years. These solutions are now established throughout North America, Europe, Asia and South America. 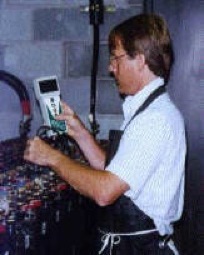 Select a specific battery test instrument from our range of products. All data logging instruments can record and upload their readings to the included Winmeter 5.1 battery analysis software. Select a specific battery test package from our range of products. 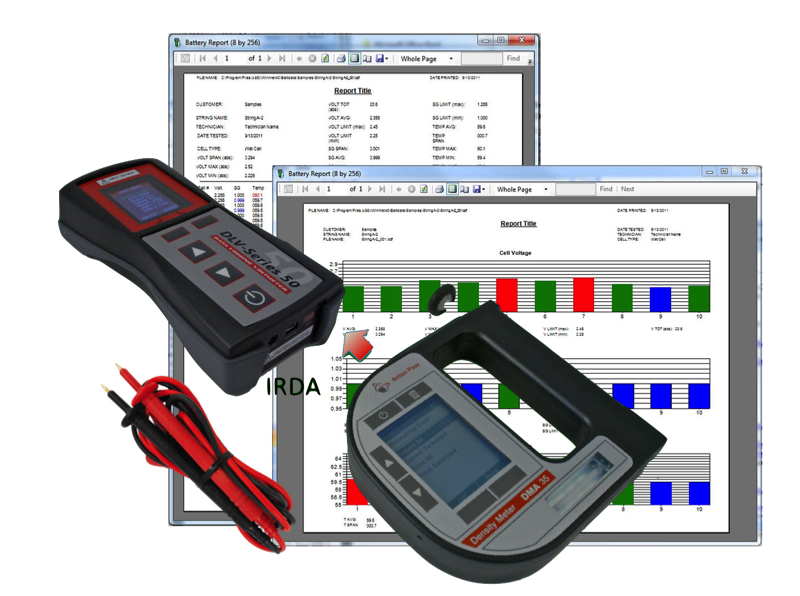 All data logging packages are compatible with the included Winmeter 5.0 battery analysis software. Select any combination of battery test instruments & packages. Receive a prompt reply with volume discounts when appropriate. Complete instrument repair & regular service . Instrument calibration (NIST) for all instruments.